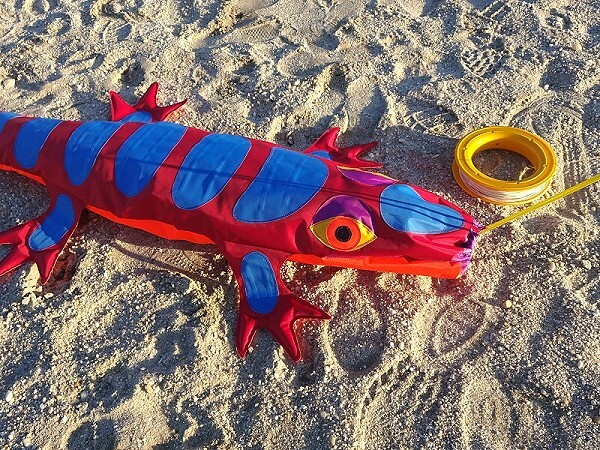 These fun Lizards are used as kite anchors, they hold on tight and always keep their eyes on the sky. Just feed them sand, attach your spool and enjoy hands-free flying. 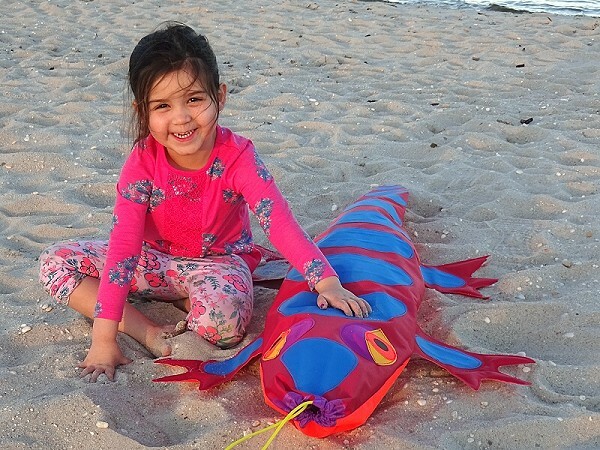 Balancing the weight with the pull of your kite can make these creatures creep along in the sand. Just don't let them get away! 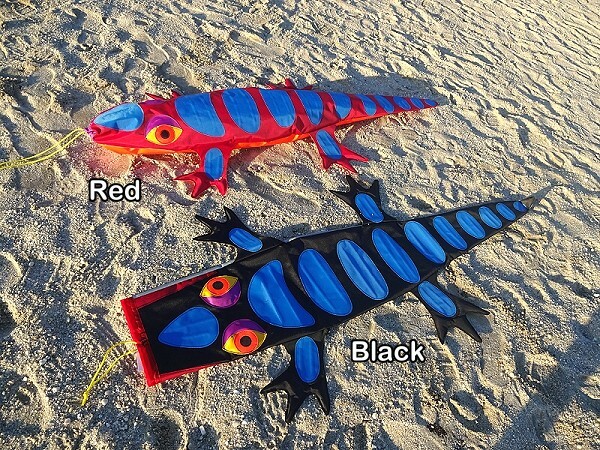 Made of durable 200D nylon, this 5ft long Lizard is 30 inches wide. When filled with sand they can weigh 20 to 40-lbs.